PITTSBURGH & CHICAGO--(BUSINESS WIRE)--Mealtime Stories, LLC, the joint venture between The Kraft Heinz Company (NASDAQ: KHC) and Oprah Winfrey, and Sabatino North America LLC, the maker of Truffle Zest®, today announced a joint promotion agreement. Under the agreement, the companies will jointly promote O, That’s Good! products and the Truffle Zest® product and any future Truffle Zest® flavor line extensions in the U.S. This partnership is a natural extension because of Winfrey’s love of truffles and will help fulfill Sabatino’s mission to bring truffles into the mainstream by introducing easy-to-use truffle spices. Promotions could take the form of digital advertising, social media and cross promotions with O, That’s Good! products. Mealtime Stories, LLC was formed to create, promote and sell products that inspire people seeking foods with a nutritious twist, while making them more accessible to everyone. The first products to launch were O, That’s Good! refrigerated soups and sides in August 2017, with more products coming in the near future. Sabatino Truffles is known for Truffle infused oils, Truffle Mac and Cheese, Truffle Soy Sauce, Flavored salts and other Truffle products. Truffle Zest® is an all-purpose seasoning created with black summer truffles. It is best used as a finishing seasoning so you don’t cook off the flavor and scent. It’s versatile and can be sprinkled on everything from pasta, risotto, pizza and salads to eggs, vegetables and potatoes, and even popcorn or chips. It can also be mixed in sauces, soups, and dressings. Moreover, “This partnership exemplifies Sabatino’s dedication to bringing truffles to everyone’s table and to participating in a big way in the spice market,” said Virgil Fisher, President, Sabatino North America. 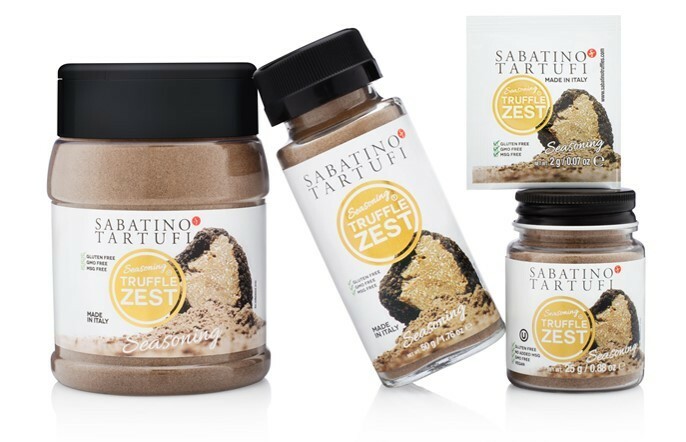 In 2016 and 2017 Sabatino Truffle Zest® was named as one of Oprah’s favorite things and in January 2017, Oprah published her very first cookbook, Food, Health, and Happiness. This book features eight different recipes containing Sabatino Truffle Zest®. Mealtime Stories, LLC is the joint venture between Kraft Heinz and Oprah Winfrey formed to create, develop, manufacture, market and distribute products that inspire people seeking better-for-you foods and beverages and make real, nutritious foods and beverages more accessible to everyone. Founded in 1999, Sabatino is the largest truffle product manufacturer in the United States. The blends of modern technologies and traditional recipes have created such products as truffle infused oils, truffle Mac and Cheese, truffle honey, truffle spread, and many other packaged truffle products. The company’s mission is to bring the ultimate truffle experience to all. Sabatino has a 60,000 square-foot production site in West Haven, Connecticut with branch offices in: New York, Los Angeles, Las Vegas, and Toronto. It has received recognition for its innovative products. 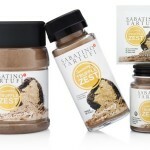 Truffle Zest® is a trademark of Sabatino North America LLC.